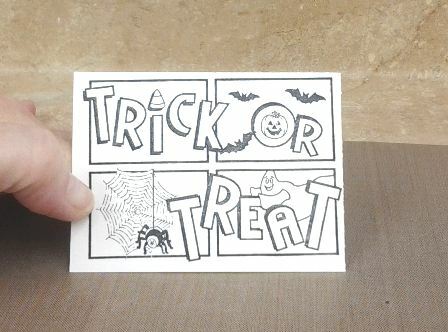 Create homemade Halloween cards for spookier and more special Halloween! 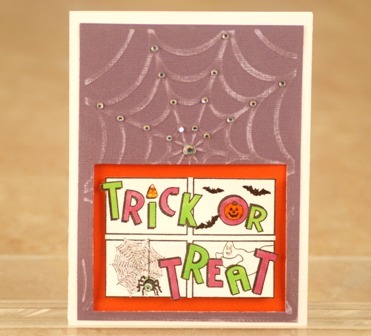 Have fun with DT Lisa's creative Halloween card idea and detailed tutorial! 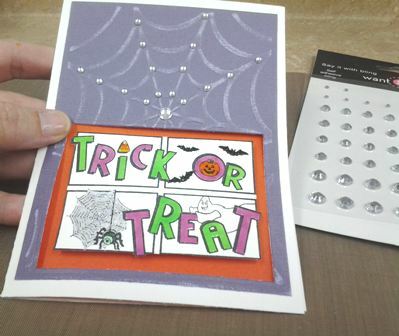 Here's a Trick or Treat Halloween Card designed specially for you to recreate at home! As always, feel free to substitute any materials here with anything that you have at home and unleash your creativity! Cut white card stock at 6¼”x 9¼”. Score at 4⅝” to form card base. 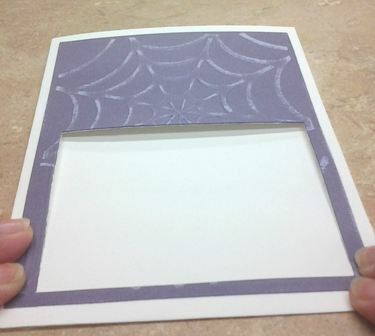 Cut purple card stock at 5¾”x 4¼”. 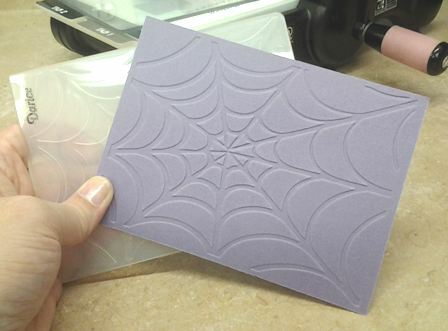 Run through the die cut machine with spider web embossing folder. Attach to the center of the card front. 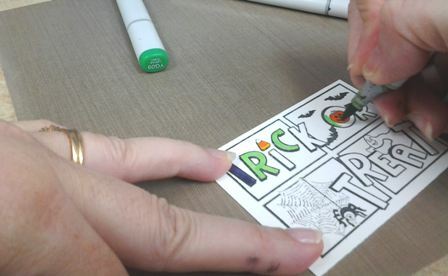 Using the largest die from the Classics Rectangle Large and the die cut machine, cut out a rectangle out of the bottom center card front. 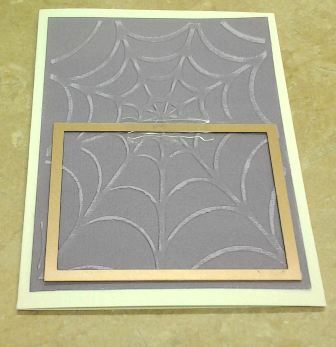 Add crystal gemstones to the spider web. 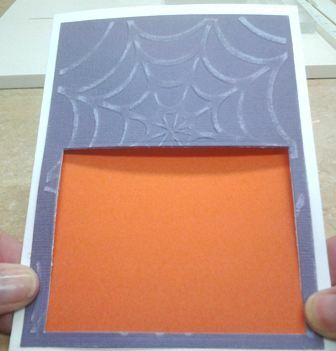 Cut orange card stock at 6⅛”x 4½”. Attach to the inside of the card. 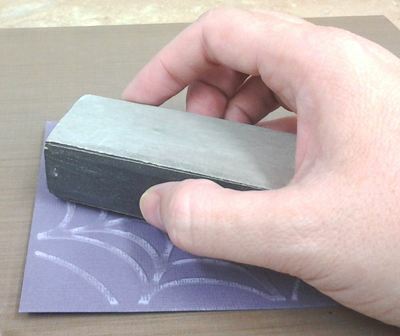 Stamp image on white card stock using Tuxedo Black ink. 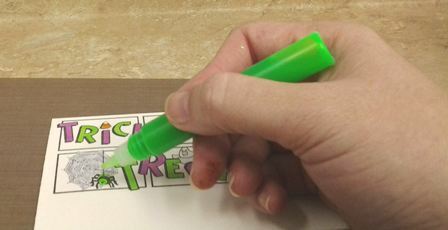 Color image with Copic markers. Trim the image out with scissors following the lines of the image. Using care when trimming around the letters that hang over the edge. 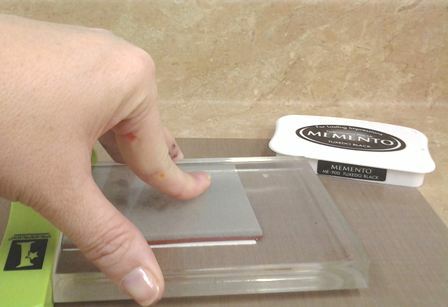 After image is cut out, add stickles, crystal lacquer and glossy accents. Allow to dry. 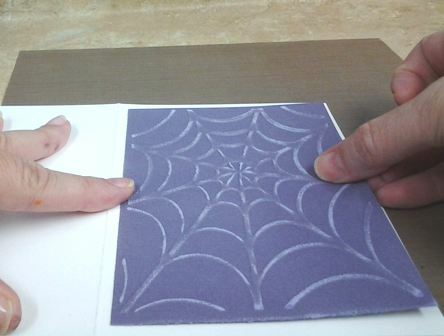 Attach stamped image on the inside of card in the center of the opening using pop dots. And there you go! 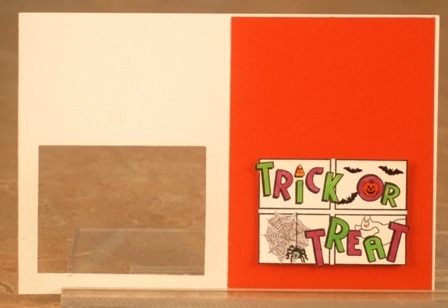 A fun, spooky window card to greet someone a Happy Halloween! 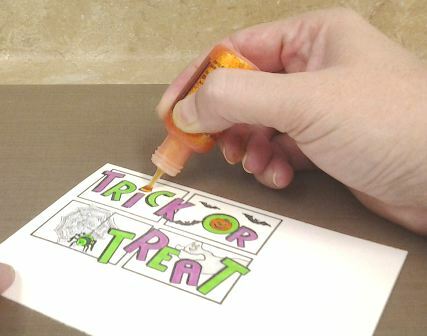 Aren't homemade Halloween cards a lot of fun? 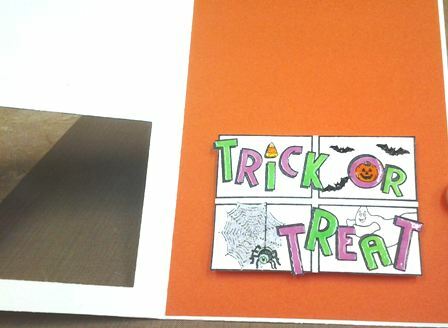 :) Here's our card again..
Be sure to see the Halloween Greeting Cards that other DT members have made for you! They all come with tutorials and photos too!